"Agent" is used to describe a support staff who handles support tickets. It means the agent will respond to the customers, will close the tickets, change ticket details, moving tickets from one group/team to another and much more. It becomes easy for the owner to know which agent is taking less time in resolving the problems of the customer and performing all their duties with adherence. The owner can also check the work report of any particular agent by setting the From and To date. When we select "Agent Insights" section under the "Reports" then you will see the page with the graph, Top Agents, and list of all agents. 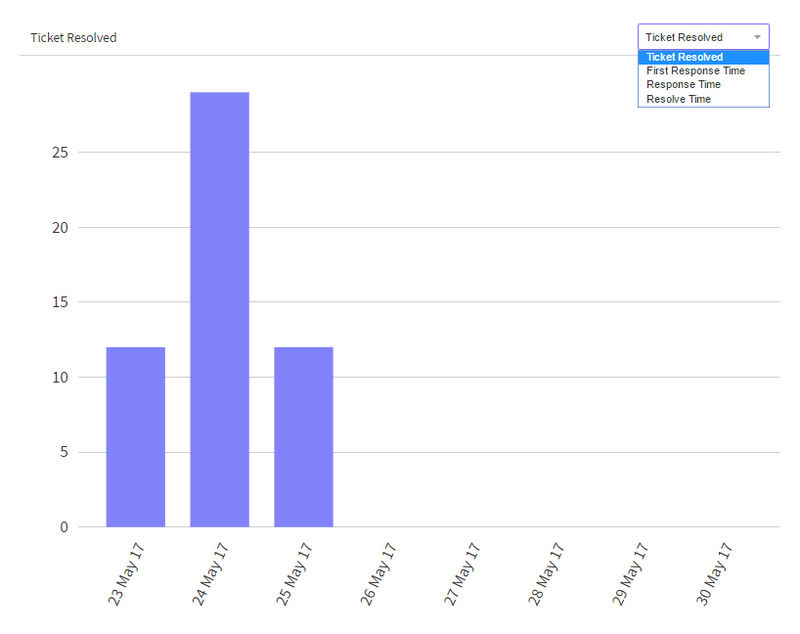 In the graph, you can select options like "Ticket Resolved" and see its graph against date. 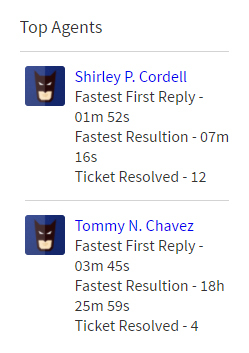 In the "Top Agents", you will see a list of top 5 agents with their Fastest First Reply, Fastest Resolution & Ticket Resolved. In the Filter View, one can filter the report on the basis of an agent, customer, group, priority, Source, type and based on the selection of filtering a graph is displayed. On opting the Agent from the filtering option, the admin can check the performance of any individual agent. You will also see a list of all agents with their Fastest First Reply, Fastest Resolution, Ticket Resolved, Customer Helped, Ticket Count. First Response Time: How fast the agent can reply to the customer query can be seen in the "First Response Time". Resolve Time: How much time does the agent take in resolving the issue of the customers can be checked in the Resolve Time. Customer Helped: The number of customers which the agent have helped and gets their issue fixed can be checked from the Customer Helped. Ticket Count: The total number of tickets which the agent have handled can be checked from the Ticket Count.